Set in a fictitious Latin American country, recovering from a fictitious dictatorship, with fictitious heritage and native tribal rites, the novel is not quite like other crime thrillers. A serial killer is on the loose, dark secrets haunt the place, but the plot isn't for the most part a chase. Instead, our main characters live and reminisce. Only when, a year later, history looks set to repeat itself, does violence and a race to prevent further killings flare up again. An atmospheric start is followed by quite a bit of moping. Then, as the book changes gears and becomes a thriller, the plot starts to rely very heavily on ghosts and spirits, on omens and dreams. Without the supernatural (and some massive coincidences), the plot would not resolve itself at all. This does not make the book comparable to Neil Gaiman (which the blurb implies). I have not read Gabriel Garcia Masquez or Isabella Allende, but I doubt their stories work like Grave of Hummingbirds. There is a massive difference between magical realism and cheating. Grave of the Hummingbirds, unfortunately, cheats. There is another source of reader frustration. One particular character is "simple" in some scenes, but clever and well-educated in others. There is absolutely no consistency at all. 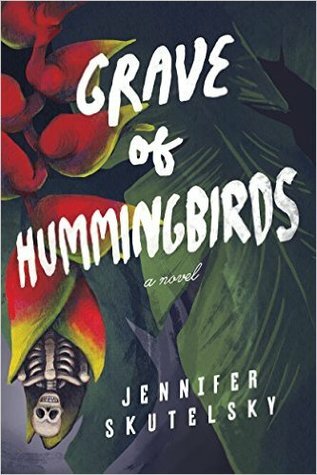 Grave of Hummingbirds showed a lot of promise at the start, but sadly it collapsed in on itself with inconsistent characterisation of a main character and a plot which used a lot of cheating devices to resolve itself. However, it's a quick read and quite entertaining.